Shalmanis of Ashnaghar were people of Dehgan or Dardic roots, usually but erroneously styled Tajiks. According to Tawarikh-i-Hafiz Rahmat Khani, the original abodes of Shalmanis were Shalman (i.e Shaluzan) and Karman valleys (of present-day Kurram district) which were dependencies of Tirah at that time. They migrated to and settled in Ashanghar on the orders of Sultan Pakhal of Swat who was also of Dardic race. When Yousafzais and allied tribes moved to Peshawar valley in late 15th century, they found Ashnaghar to be in possession of Shalmani Dehgans as subjects of Jahangiri Sultans of Swat. 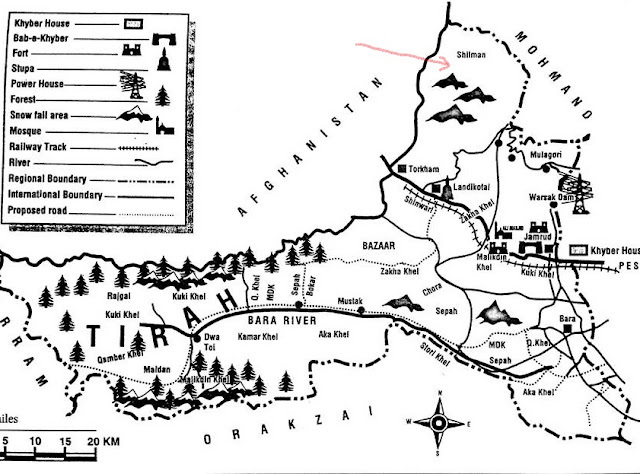 They lost Ashnaghar tract when Yousafazais and allied tribes overran it in the times of Babur. See also Swatis . They consider themselves Mohmands. Officially, the Shalmanis were treated as a separate tribe since the Khyber agreement of 1881 between the British government of India and tribes of the Khyber Agency. The tribe is settled in the North of Khyber Pass. They extend from the crest of the Dabrai Kotal on the east to the Shilman Ghakha on the west, the boundary on the north being the Kabul River whilst on the south lies the Landi Kotal plateau and the Torsappar, Spinsooka Range. The Shilmanis' country is mostly barren and desolate: the chief wealth of the residents consists of large flocks of goats, which spare nothing green that grows in the valleys and hills. The Shalmanis are divided as Loe Shalmanis and Kam Shalmanis. The river Kabul flows between the area of Shalmanis and Mullagoris and separates the Khyber district from Mohmand district. Before the Khyber Pass was permanently opened, the chief trade between Kabul and Peshawar was carried through the Shilman and Mullagori country who were then exceedingly well off. However, the British paid subsistence annual allowances of Rs.2,000 to Kam and Loi Shilmanis at the scale of Rs.400/- and 1,600/- respectively. 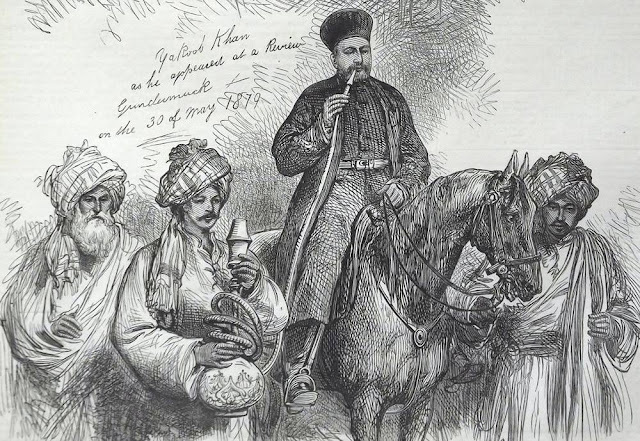 In 1881, it was paid to Jamal Khan and Azam Khan, both Dilkha Khel Kam Shilmanis , and to Khaista Khan, Ghulam Kadir, and Gulistan of Shah Mansoor Khels and Mir Hamza Halimzaey of Loy Shilmanis. It is said Khaista Khan Shah Mansoor Khel, who was in late nineteenth century was 90 years old, was considered to be an authority on the terrain and politics of Khyber range. The Shalmanis in Hazara have adopted the name of Sulaimani and are closely connected with the Utmanzais. 1- Notes on the Pathans of the Pathan Recruiting District, by G. P. Ranken, 1895. 2- Tawarikh-i-Hafiz Rahmat Khani, translated by Roshan Khan.